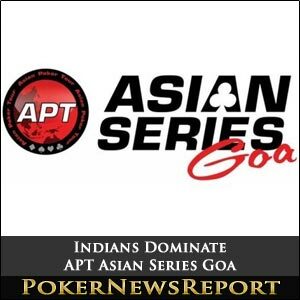 The first four events of the Asian Poker Tour (APT) Asian Series Goa have been completed on board the Casino Royale, with the INR 150,000 (about $2,695) buy-in No-Limit Hold’em High Roller event #3 being won by home player Harshad Barve for INR 834,000 ($14,986). 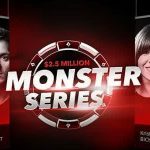 In fact, all four completed tournaments have been taken down by Indian players, leaving Australian Liam Anderson and Brit Phil Sanders as the only non-home entrants to so far make the money when finishing seventh in event #1, the INR 10,000 buy-in Freezeout 1. Let’s return to the High Roller first, though, as Barve outlasted the nine-player field – including well-known Indians Aditya ‘Intervention’ Agarwal, Bobbe Suri and Rahul Byraju, as well as Englishman Sanders – to ultimately defeat countryman Ramandeep Singh Gujral in their heads-up clash that left the runner-up with INR 448,500 ($8,070) as the only other player to be paid from the INR 1,282,500 ($23,077) prize pool. Barve secured the victory when all the chips hit the middle on a 10♦ 2♠ A♥ 3♥ A♣, with the champion’s 5♥ 4♥ for a straight beating Gujral’s trips aces after the latter called while holding A♠ 5♦. Clawin D’Souza emerged as the winner from a 49-player field in the INR 15,000 ($270) buy-in Freezeout 2 (event #4) side event to collect INR 264,000 ($4,745) from a prize pool of INR 661,500 ($11,892) that was shared out among five players. 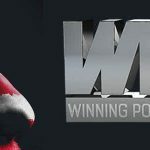 Again, numerous experienced Indians – including Agarwal, Bharat Naidu, Pulkit Kalia, Abhishek Goindi and reigning main event champion Sangeeth Mohan, as well as Danish player Kristian Faering – entered the competition. But it was D’Souza who pocketed the biggest prize when beating Ishwar S, who left with INR 165,400 ($2,973) for his second place finish. The eventual champ crippled his opponent a few hands before finishing the job when calling an all-in move while holding 5♦ 6♦. Ishwar’s hole cards, A♣ 2♦, ensured that he was in front pre-flop, but that all changed when the dealer placed 6♥ A♦ 6♠ 10♠ 5♠ on the felt to provide D’Souza with a full house and demolish his heads-up rival. The final hand saw Ishwar forced into pushing with his 2♦ 2♠. D’Souza called while holding K♥ Q♦ and moved ahead on the 10♠ 3♠ Q♥ flop with a pair of queens. The turn A♥ and 4♥ river couldn’t match or better D’Souza’s queens, so ensuring that the latter was crowned the winner. Anil Adiani showed how to play a short stack after battling back from having just four big blinds at the final table of event #2, the INR 15,000 buy-in Fundoo Poker Head Hunter tournament, to emerge triumphant. The 52-entry line-up weren’t just playing for the top prize as each player had a INR 2,000 ($36) bounty on their head. Certainly, Adiani prospered by knocking out eight players on his way to bagging the INR 209,300 ($3,765) winner’s prize after he beat fellow Indian Siddharth Singhvi heads-up. Incredibly, Adiani fought back from what looked like a desperate situation to overcome Singhvi on the final hand when the latter shoved all-in while holding K♣ 8♦. However, Adiani made the call to show A♦ 7♦ before the board ran out 5♦ 6♠ 2♣ Q♣ 9♦ to ensure that his ace-high was good enough for the title. 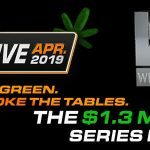 Again, several notable players paid the buy-in, including Agarwal, Anderson and Mohan (third for INR 65,800) – who had finished second in the opening event – as well as Sanders (seventh for INR 29,900), Suri, Goindi, Amit Varma, Dhaval Mudgal, Jasveen Saigal and Kunal Chandra. 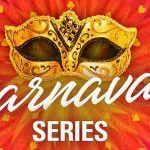 The opening day of the poker festival saw Agarwal win the INR 10,000 ($180) Freezeout tournament to score INR 182,000 ($3,271) in prize money. Event #1 attracted 58 players and generated a total prize pool of INR 522,000 ($9,382), but it was the highly aggressive Agarwal who lasted longest when beating Mohan in their heads-up match that left the runner-up with INR 109,600 ($1,969) as a consolation. As can be expected, several renowned Indian players were seated at the start of the tournament, such as Goindi (fourth for INR 41,800), Chandra, Varma, Mudgal, Rohit Bhalla and Rahul Byrraju. The final hand arrived with Mohan extremely short-stacked. Quite correctly, he moved all-in while holding Q♦ Q♥, only to lose out to Agarwal’s 8♣ 8♠ when the board came 7♠ 5♠ 9♠ K♥ 8♥ to give the latter trips on the river.